One of the first stops on the fledgling World Poker Tour (WPT) in 2002 was the World Poker Finals at Foxwoods, and after a 10-year run as a host casino for the tour, as well as branding their poker room a “WPT Poker Room” Foxwoods has ended their partnership with the World Poker Tour according to an article in the Connecticut newspaper, the Day. According to the article, Foxwoods has removed all WPT markings from their 100-table poker room, which includes banners, table felt, and even the chips they used, in what appears to be an effort to cut costs (Foxwoods revenues have been ticking downward ever since the recession in 2008). In addition to ending their ties with the WPT, Foxwoods has also severed ties with Bernard Lee, the popular east coast poker pro and ESPN host who got his start at the casino’s poker tables. Lee was hired in 2010 in a spokesman role for the casino, which was a groundbreaking deal at the time –Lee was the first poker player to ever receive such a position from a Brick & Mortar casino. While WPT tournaments at Foxwoods were some of the largest and best-attended during the heyday of the poker boom, in recent years attendance has seen a sharp decline, with players citing everything from staff issues, to the far-flung locale of the casino as reasons for skipping Foxwoods and playing events elsewhere. It’s unclear if the hiring of Bernard Lee was meant to curtail this –with Lee acting as liaison between the players and Foxwoods—but his presence and role at Foxwoods did little to stop the diminishing attendance numbers. 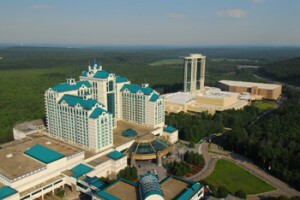 Lee was under a two-year contract with the casino, and Foxwoods simply decided not to renew the deal. As of this time, Lee has not commented on the split, but his publicist, Jennifer Rosinski, issued the following statement: “His relationship with Foxwoods is no longer… It was a business decision.” [Bernard Lee] “Thoroughly enjoyed his time there,” Rosinski said.